7.M.EE.A.01: The Highly Proficient student can apply mathematical properties to expand linear expressions, create equivalent expressions, and explain key terms and factors. 7.M.EE.A.02: The Highly Proficient student can rewrite an expression in different forms, and understand the relationship between the different forms and their meanings in a problem context. For example, a + 0.05a = 1.05a means that "increase by 5%" is the same as "multiply by 1.05." 7.M.EE.B.03: The Highly Proficient student can solve multi-step mathematical problems and problems in real-world context posed with positive and negative rational numbers in any form. Convert between forms as appropriate and assess the reasonableness of answers. For example, If a woman making $25 an hour gets a 10% raise, she will make an additional 1/10 of her salary an hour, or $2.50, for a new salary of $27.50 per hour. 7.M.EE.B.04a: The Highly Proficient student can create a model and solve real-world or mathematical problems using equations with rational coefficients and explains what the solution means. 7.M.EE.B.04b: The Highly Proficient student can create a model and solve real-world or mathematical problems using inequalities with rational coefficients and explains what the solution means. 7.M.NS.A.01ab: The Highly Proficient student can justify the steps to add and subtract rational numbers and interpret the sums in real world context. 7.M.NS.A.01c: The Highly Proficient student can understand subtraction of rational numbers as adding the additive inverse, p – q = p + (–q). The Highly Proficient student can show that the distance between two rational numbers on the number line is the absolute value of their difference, and apply this principle in real‐ world contexts. 7.M.NS.A.01d: The Highly Proficient student can apply properties of operations as strategies to add and subtract rational numbers. 7.M.NS.A.02ab: The Highly Proficient student can multiply and divide to justify the product and quotient in real world situations. 7.M.NS.A.02c: The Highly Proficient student can apply properties of operations as strategies to multiply and divide rational numbers. 7.M.NS.A.02d: The Highly Proficient student convert a rational number to a decimal form using long division; know that the decimal form of a rational number terminates in 0s or eventually repeats. 7.M.NS.A.03: The Highly Proficient student can create a story problem to model a given number sentence based on a real-world context and uses this to solve problems. 7.M.G.A.01: The Highly Proficient student can use a scale drawing to calculate the actual dimensions of a figure and reproduce a scale drawing using a different scale. 7.M.G.A.02: The Highly Proficient student can justify the conditions for a unique triangle, more than one triangle or no triangle. 7.M.G.B.04: The Highly Proficient student can explain why the formulas for area and circumference work and explain the relationship between area of a circle and area of a parallelogram. 7.M.G.B.05: The Highly Proficient student can write and solve multi-step equations to find missing angles formed by intersecting lines. 7.M.RP.A.01: The Highly Proficient student can compute unit rates associated with ratios involving both simple and complex fractions, including ratios of quantities measured in like or different units. 7.M.RP.A.02: The Highly Proficient student can describe the constant rate of change and identify, extend, and create a proportional relationship in context. 7.M.RP.A.03: The Highly Proficient student can create equivalent proportional equations that could be used to solve the same ratio/percent problem. 7.M.G.A.03: The Highly Proficient student can describe and draw 2-D figures that result from slicing a right prism or pyramid. 7.M.G.B.06a: The Highly Proficient student can solve surface area of 3D shapes to solve real world problems. 7.M.G.B.06b: The Highly Proficient student can use relationships between volume and surface area to solve real-world problems. 7.M.SP.A.02: The Highly Proficient student can justify and create the best method to represent the sample and the impact of the prediction. 7.M.SP.C.06: The Highly Proficient student can recognize and justify the relationship between the experimental and theoretical probability. 7.M.SP.A.01: The Highly Proficient student can understand that statistics can be used to gain information about a population by examining a sample of the population; generalizations about a population from a sample are valid only if the sample is representative of that population. The Highly Proficient student can understand that random sampling tends to produce representative samples and support valid inferences. 7.M.SP.B.03: The Highly Proficient student can compare two visual representations of data to make comparative inferences, using measures of central tendency and variability, about two populations in context. 7.M.SP.B.04: The Highly Proficient student can use measures of center and measures of variability for numerical data from random samples to draw informal comparative inferences about two populations. For example, decide whether the words in a chapter of a seventh-grade science book are generally longer than the words in a chapter of a fourth- grade science book. 7.M.SP.C.05: The Highly Proficient student can understand that the probability of a chance event is a number between 0 and 1 that expresses the likelihood of the event occurring. Larger numbers indicate greater likelihood. A probability near 0 indicates an unlikely event, a probability around 1⁄2 indicates an event that is neither unlikely nor likely, and a probability near 1 indicates a likely event. 7.M.SP.C.07: The Highly Proficient student can develop a probability model and use it to find probabilities of events. The Highly Proficient student can compare probabilities from a model to observed frequencies; if the agreement is not good, explain possible sources of the discrepancy. 7.RST.01: Using specific information, I can support the reasoning behind my analysis of text. 7.RST.03: I can follow a multistep procedure when experimenting or measuring. 7.RST.04: I can determine the meaning of symbols, key terms and other scientific vocabulary that are used in text. G7.1S.C1.PO1: I can create questions based on observations that lead to the development of a hypothesis. G7.1S.C1.PO2: I can select appropriate resources for background information relate to question, for use in the design of a controlled investigation. G7.1S.C1.PO3: I can explain the role of a hypothesis in a scientific inquiry. G7.1S.C2.PO1: I can demonstrate safe behavior and appropriate procedures in science activities. G7.1S.C2.PO2: I can design an investigation to test individual variables using scientific processes. G7.1S.C2.PO3 : I can conduct a controlled experiment, using multiple trials, to test a hypothesis. G7.1S.C2.PO4: I can perform measurements using appropriate scientific tools (e.g., balances, microscopes, probes, micrometers). G7.1S.C2.PO5: I can keep a record of observations, notes, sketches, questions, and ideas using tools such as written and/or computer logs. G7.1S.C3.PO2: I can form a logical argument about a correlation between variables or sequence of events (e.g., construct a cause-and-effect chain that explains a sequence of events). G7.1S.C3.PO7: I can formulate new questions based on the results of a previous investigation. G7.1S.C4.PO4: I can write clear, step-by-step instructions for following procedures. G7.2S.C1.PO1: I can identify how diverse people and/or cultures, past and present, have made important contributions to scientific innovations. G7.2S.C1.PO4: I can analyze the use of technology in science-related careers. G7.2S.C2.PO1: I can describe how science is an ongoing process that changes in response to new information and discoveries. G7.2S.C2.PO3: I can apply the following scientific processes to other problem solving or decision making situations: - observing - predicting - organizing data - inferring - generating hypotheses - identifying variables - questioning - communicating - comparing - measuring - classifying. G7.1S.C3.PO1: I can analyze data obtained in a scientific investigation to identify trends. G7.1S.C3.PO3: I can analyze results of an experiment in order to accept or reject a hypothesis. G7.1S.C3.PO4: I can determine validity and reliability of results of an investigation. G7.1S.C3.PO5: I can formulate a conclusion based on data analysis. G7.1S.C3.PO6: I can refine hypotheses based on results from investigations. G7.1S.C4.PO1: I can choose an appropriate graphic representation for collected data: line graph, double bar graph, stem and leaf plot, and histogram. G7.1S.C4.PO2: I can display data collected from an experiment. G7.1S.C4.PO3: I can communicate the results of an investigation with appropriate use of qualitative and quantitative information. G7.1S.C4.PO5: I can communicate the results and conclusion of the investigation. G7.2S.C1.PO2: I can describe how a major milestone in science or technology has revolutionized the thinking of the time (e.g., global positioning system, telescopes, seismographs, photography). G7.2S.C1.PO3: I can analyze the impact of a major scientific development occurring within the past decade. G7.2S.C2.PO2: I can describe how scientific knowledge is subject to change as new information and/or technology challenges prevailing theories. G7.6S.C1.PO2: I can demonstrate the properties and composition of the major layers of the Earth. G7.6S.C3.PO2: I can construct a model for the positions of the Earth, Sun, and Moon during lunar and solar eclipses. G7.6S.C3.PO4: I can explain the seasons in terms of the tilt of the Earth's axis as the Earth revolves around the Sun. G7.6S.C3.PO5: I can identify the major constellations visible (seasonally) from the Northern Hemisphere: Orion, Ursa Major (Great Bear), Cygnus, Scorpius, Cassiopeia. G7.6S.C3.PO6: I can explain the relationship among common objects in the solar system, galaxy, and the universe. G7.3S.C2.PO4: I can describe a scientific discovery that influences technology. G7.6S.C1.PO1: I can classify rocks and minerals by their properties. G7.6S.C1.PO3: I can explain these processes involved in the changes in the Earth's structure: - erosion - deposition - plate tectonics - volcanism. G7.6S.C1.PO4: I can describe how the rock and fossil record show that environmental conditions have changed over geologic and recent time. G7.6S.C2.PO2: I can explain how the following rocks can be changed within the rock cycle: - igneous - metamorphic - sedimentary. G7.6S.C2.PO3: I can provide evidence that lithospheric plate movements occur. G7.6S.C2.PO4: I can explain lithospheric plate movement as a result of convection. G7.6S.C2.PO5: I can identify landforms created at each type of plate boundary. - mountains - faults - rift valleys - trenches - volcanoes. G7.6S.C2.PO6: I can describe how earthquakes are measured. G7.6S.C3.PO1: I can explain the phases of the Moon in terms of the relative positions of the Earth, Sun, and Moon. G7.6S.C3.PO3: I can explain the interrelationship between the Earth's tides and the Moon. G7.3S.C1.PO1: I can analyze environmental risks caused by human activities. G7.3S.C1.PO2: I can analyze environmental benefits created by human activities. G7.3S.C1.PO3: I can propose possible solutions to address the environmental risks in biological or geological systems. G7.3S.C2.PO1: I can propose viable methods of responding to an identified need or problem. G7.3S.C2.PO2: I can compare solutions to best address an identified need or problem. G7.3S.C2.PO3: I can design and construct a solution to an identified need or problem using simple classroom materials. G7.4S.C3.PO1: I can compare food chains and food webs in an ecosystems. G7.4S.C3.PO2: I can explain how organisms obtain and use resources to develop and thrive in: - niches - predator/prey relationships. G7.4S.C3.PO3: I can analyze the interactions of living organisms with their ecosystems: - limiting factors - carrying capacity. G7.4S.C3.PO4: I can evaluate data related to problems associated with population growth (e.g., overgrazing, forest management, invasion of non-native species) and the possible solutions. G7.4S.C3.PO5: I can predict how environmental factors (e.g., floods, droughts, temperature changes) affect survival rates in living organisms. G7.4S.C3.PO6: I can create a model of the interactions of living organisms within an ecosystem. G7.6S.C2.PO1: I can explain the rock cycle. 7.RST.10: I can read and comprehend science or technical texts independently. G7.3SS.C5.PO2: I can differentiate world government models. G7.4SS.C1.PO1: I can construct maps, charts, and graphs to display geographic information. G7.4SS.C1.PO2: I can identify purposes of, and differences among, maps, globes, aerial photographs, charts, and satellite images. G7.4SS.C1.PO5: I can interpret thematic maps, graphs, charts, and databases depicting various aspects of world regions. G7.4SS.C2.PO1: I can describe the human and physical features, places, and regions. G7.4SS.C2.PO2: I can explain the concept of regions and why they change. G7.4SS.C2.PO3: I can compare the historical and contemporary interactions among people in different places and regions. G7.4SS.C4.PO1: I can discuss the implications of the demographic structure of places and regions. G7.4SS.C4.PO2: I can describe the push and pull factors that cause human migrations (e.g., need for raw materials, enslavement, employment opportunities, impact of war, religious freedom, political freedom). G7.4SS.C4.PO3: I can describe the effects of human migration (e.g., imperialism, quota system, changing of political boundaries, multiculturalism) in the U.S. and regions of the world. G7.4SS.C4.PO4: I can analyze why human populations choose to live where they do (e.g., natural resources, farmland, water, mild climate, family, employment). G7.4SS.C4.PO5: I can analyze the effects of settlement on places (e.g., quality of life, transportation, population density). G7.4SS.C4.PO6: I can describe the distribution of patterns of cultural features over time. G7.4SS.C4.PO7: I can describe the factors (e.g., nearness to transportation routes, markets, raw materials, and labor force) that influence the location, distribution, and interrelationships of economic activities in different places and world regions. G7.4SS.C4.PO8: I can explain how cooperation and conflict contribute to political, economic and social activities. G7.4SS.C4.PO9: I can identify cultural features based on social and political factors. G7.4SS.C5.PO1: I can identify the physical processes (e.g., conservation of natural resources, mining, water distribution in Arizona) that influence the formation and location of resources. G7.4SS.C5.PO2: I can describe the consequences of natural hazards (e.g., Dust Bowl, hurricanes, droughts, earthquakes). G7.4SS.C5.PO3: I can describe how humans change and adapt to their environment. G7.4SS.C5.PO7: I can compare different views on land use, natural resources, wildlife and biomes. G7.5SS.C1.PO1: I can explain how limited resources and unlimited human wants cause people to choose things. G7.5SS.C1.PO2: I can analyze what factors influence economic decisions. G7.5SS.C1.PO4: I can describe the characteristics of a market economy. G7.5SS.C2.PO2: I can describe how investment in people leads to economic growth. G7.5SS.C3.PO1: I can describe the effects of inflation (e.g., raising prices, interest rates, business activities) on society. G7.5SS.C3.PO4: I can describe how scarcity influences the choices made by governments and businesses (e.g., war times - rationing, women in the work force, reallocation of resources). G7.5SS.C4.PO1: I can explain how voluntary exchange benefits buyers and sellers. G7.5SS.C4.PO2: I can identify patterns of trade between countries. G7.5SS.C5.PO1: I can describe how scarcity influences personal financial choices as related to the historical times studied. G7.5SS.C5.PO2: I can describe how scarcity effects choices. G7.5SS.C5.PO3: I can describe how the value of goods and services affects income. G7.5SS.C5.PO4: I can describe types of personal investments. 7.RH.01: I can use evidence from the text to support my understanding of primary and secondary sources. 7.RH.02: I can determine the central idea of a source and provide an accurate summary of the information provided. 7.RH.06: I can identify the parts of a text that reveal an author's point of view or purpose. 7.RH.09: I can compare and contrast non-fictional versions of historical events to see how the interpretations vary or change history. G7.1SS.C1.PO3: I can construct a timeline and make connections between important events in history. G7.1SS.C4.PO1: I can analyze the events and the origin of the ideas that led to the American Revolution. G7.1SS.C4.PO2: I can describe the significance of key events of the Revolutionary War, including the battles at Lexington, Saratoga and Trenton, the aid from France and the surrender at Yorktown. G7.1SS.C4.PO3: I can describe the significance of the following key individuals of the American Revolution: Benjamin Franklin, Thomas Jefferson, George Washington, Patrick Henry, Thomas Paine, King George III. G7.1SS.C6.PO2: I can determine the significance of the following key events of the Civil War: a. firing on Fort Sumter b. major battles - Bull Run, Antietam, Vicksburg, Gettysburg c. Enactment of the Emancipation Proclamation d. Sherman's march e. Surrender at Appomattox. G7.1SS.C6.PO6: I can describe the basic provisions of the Thirteenth, Fourteenth, and Fifteenth Amendments. G7.2SS.C6.PO1: I can describe how innovation and inventions during the Industrial Revolution impacted industry, manufacturing, and transportation. G7.2SS.C6.PO2: I can determine the effect of the Industrial Revolution on the Western World: a. growth of cities b. rise of middle class c. spread of industrialism d. rise of imperialism e. foundation for future technological advances f. labor issues. G7.3SS.C1.PO1: I can describe ideas and documents that influenced the Constitution. G7.3SS.C2.PO1: I can describe the principles on which the Constitution was founded. G7.3SS.C2.PO1: I can describe how the powers of checks and balances are used in the following: a. impeachment b. declaring war c. treaties d. veto e. judicial review. G7.3SS.C2.PO2: I can differentiate the roles and powers of the three branches of the federal government. G7.3SS.C3.PO1: I can compare and contrast the government of Arizona to the Federal government. G7.3SS.C3.PO2: I can compare and contrast the process of how a bill becomes a law at the federal and state level. G7.3SS.C3.PO2: I can identify the government's role in progressive reforms (e.g., women's suffrage, labor unions, temperance movement, civil rights). G7.3SS.C3.PO3: I can describe the following forms of direct democracy in Arizona: a. Initiative b. Referendum c. Recall process. G7.3SS.C3.PO5: I can describe the importance of the Amendments to the Constitution. G7.3SS.C4.PO1: I can describe the benefits of community service. G7.3SS.C4.PO2: I can discuss the character traits (e.g., respect, fairness, responsibility, involvement) that are important to the preservation and improvement of constitutional democracy in the United States. G7.3SS.C4.PO3: I can describe the importance of citizens being actively involved in the democratic process. (e.g., voting, student government, involvement in political decision making, analyzing issues, petitioning public officials). G7.3SS.C4.PO5: I can describe the impact of Constitutional Amendments and laws (i.e., Thirteenth, Fourteenth, Fifteenth, Eighteenth, Nineteenth, Twenty-first, Amendments and Jim Crow Laws, Black Codes, Dawes Act) that came about during the historical time periods studied. 7.RH.08: I can understand differences between fact, opinion and reasoned judgment in a text, and evaluate how the author(s) supports their arguments. G7.1SS.C6.PO1: I can analyze causes of the Civil War. G7.1SS.C6.PO3: I can describe the significance of important individuals of the Civil War. G7.1SS.C6.PO4: I can analyze the impact of the Civil War in America by examining its effects on the personal, social and economic aspects of American life. G7.1SS.C6.PO5: I can describe the causes and effects of significant events of the Reconstruction period. G7.1SS.C7.PO6: Describe the following Progressive Reforms that resulted from the Industrial Revolution: a. labor unions b. Women's Suffrage c. Trust busting d. Conservation of natural resources e. Temperance Movement. G7.1SS.C7.PO10: Analyze the United States' expanding role in the world during the late 19th and early 20th Centuries: a. Spanish American War b. Panama Canal c. Alaska and Hawaii d. Open Door Policy e. China - Boxer Rebellion. G7.1SS.C7.PO11: Describe major factors in Arizona history (e.g., territorial status, mining, constitutional convention) leading to statehood. G7.2SS.C9.PO1: Describe current events using information from class discussions and various resources (e.g., newspapers, magazines, television, Internet, books, maps). G7.2SS.C9.PO2: Identify the connection between current and historical events and issues using information from class discussions and various resources (e.g., newspapers, magazines, television, Internet, books, maps). G7.3SS.C1.PO1: I can analyze the significance of the Emancipation Proclamation. G7.3SS.C3.PO1: I can analyze the importance of the decisions in the following U.S. Supreme Court cases: Dred Scott and Plessy vs. Ferguson. G7.1SS.C7.PO1: I can examine why people emigrated to the U.S.
G7.1SS.C7.PO2: I can explain positive and negative impacts of immigration on the U.S.
G7.1SS.C7.PO4: I can explain the relationship between immigration and industrialization. G7.1SS.C7.PO5: I can analyze the effects of industrialization on the U. S.
G7.1SS.C7.PO7: I can describe how inventions and ideas contributed to growth and expansion of the U.S.
G7.1SS.C7.PO8: I can analyze the effect of major groups that contributed to changes in the social and political structure of the United States. G7.1SS.C7.PO9: I can describe the factors that foster the growth of American Imperialism. G7.2SS.C7.PO1: I can describe the factors that led to the rise of imperialism. G7.2SS.C7.PO2: I can describe how areas in the world were impacted by the imperialism of European countries. 7.RH.10: I can understand the historical documents I read in 7th grade social studies. G7.4SS.C1.PO3: I can interpret geographic information from maps, charts and databases. G7.4SS.C1.PO4: I can locate physical and cultural features throughout the world. 7.L.04: The Highly Proficient student can authoritatively determine the meaning of unknown words using a variety of methods. 7.L.05: The Highly Proficient student can demonstrate deep understanding of figurative language, word relationships, and nuances in word meanings. 7.L.06: The Highly Proficient student can learn and use a wide range of vocabulary. 7.W.02: The Highly Proficient student can write an informative/explanatory essay that conveys complex ideas/concepts with a strongly developed focus and organization. 7.W.08: The Highly Proficient student can gather relevant information from multiple credible sources and accurately cite them to avoid plagiarism. 7.W.09: The Highly Proficient student can use evidence from literature or informational text to support their main idea. 7.W.01: The Highly Proficient student can write clear arguments to support claims with logical reasoning and relevant evidence. 7.L.01ac: The Highly Proficient student can demonstrate correct application and command of the conventions of standard English grammar and usage when writing or speaking. 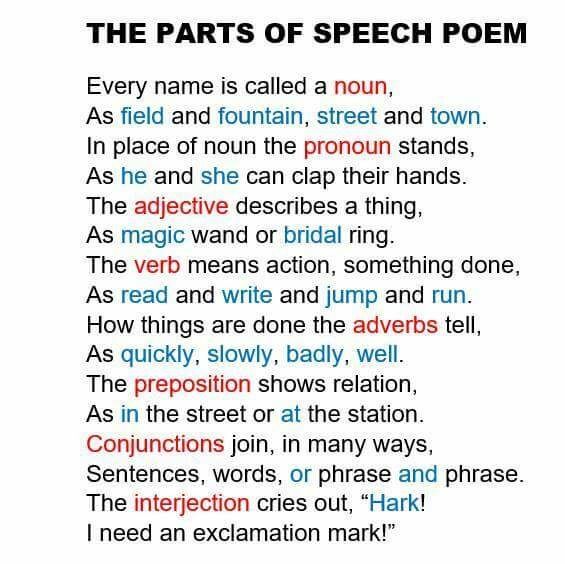 7.L.02ab: The Highly Proficient student can demonstrate correct application and command of the conventions of standard English capitalization, punctuation, and spelling when writing. 7.L.03: Use knowledge of language and its conventions when writing, speaking, reading, or listening. a. Choose language that expresses ideas precisely and concisely, recognizing and eliminating wordiness and redundancy. 7.W.07: The Highly Proficient student can write a short research project that answers questions utilizing several sources. 7.W.03: The Highly Proficient student can write a narrative to develop real or imagined experiences or events using effective narrative techniques. 7.W.04: Produce clear and coherent writing in which the development, organization, and style are appropriate to task, purpose, and audience. a. Produce clear and coherent functional writing (e.g., formal letters, experiments, notes/messages, labels, timelines, graphs/tables, procedures, invitations, envelopes, maps, captions, diagrams) in which the development and organization are appropriate to task, purpose, and audience. 7.W.05: With some guidance and support from peers and adults, develop and strengthen writing as needed by planning, revising, editing, rewriting, or trying a new approach, focusing on how well purpose and audience have been addressed. 7.W.06: Use technology, including the Internet, to produce and publish writing as well as to interact and collaborate with others; demonstrate sufficient command of keyboarding skills to type a minimum of three pages in a single sitting. 7.W.10: Write routinely over extended time frames (time for research, reflection, and revision) and shorter time frames (a single sitting or a day or two) for a range of discipline-specific tasks, purposes, and audiences.